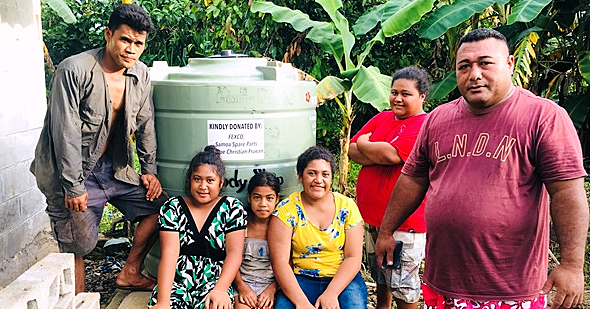 The Government of Samoa, in partnership with the United States Government, have successfully completed two additional Universal Treatment Curricula (U.T.C.) courses of the Drug Demand Reduction Training. More than 20 participants have increased their capacity to treat substance abuse by completing these two additional U.T.C. courses over the past 10 days. Participants were from various government agencies and civil society organisations that deal directly with substance abuse, criminal rehabilitation and mental illness. This training enables its graduates to better address substance use disorders in their professions and communities. There are eight courses in total for the Colombo Plan Drug Advisory Program Universal Treatment Curricula. The participants completed courses one and two in November 2017, while this training focused on courses three and five. 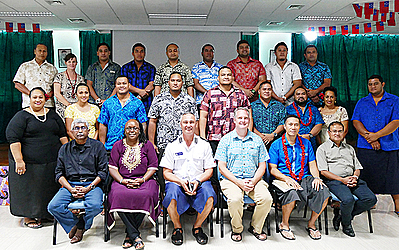 United States Charge d’Affaires, Tony Greubel, congratulated the trainees and commended the support of the Samoa Government. He also acknowledged the trainers who were behind the scenes throughout the training. “May I also urge your Government to consider joining the Colombo Plan to realise the full spectrum of benefits the plan has to offer, such as technical assistance, economic and social development. “I’d also like to recognise the Colombo Plan, and thank our fantastic trainers, Dr. Damber Kumar Nirola, Dr. Sivakumar Thurairajasingam, and Susan Gitau. 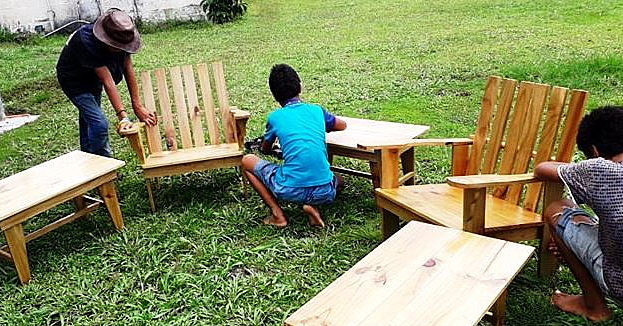 The Programme was funded by the U.S. State Department’s Bureau of International Narcotics and Law Enforcement Affairs, in collaboration with the Government of Samoa through the Ministry of the Prime Minister and Cabinet and Ministry of Health. This foundational course provides an overview of the relationship of co-occurring mental and medical disorders and S.U.D. related treatment issues. This course is a skills-based course that teaches effective and integrated Intake, Screening, Assessment, Treatment Planning and Documentation procedures to Addiction Professionals. 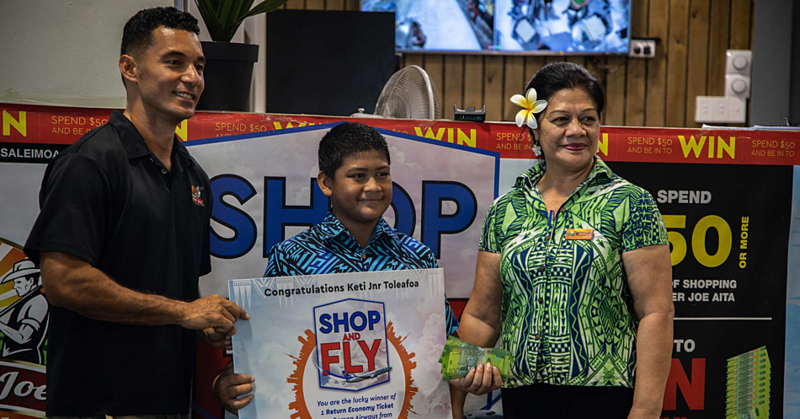 Boy winner with Farmer Joe's "Shop and Fly"
"This is all part of the celebration for the reopening of the Saleimoa new Aita Farmer Joe and we also wanted to have a partnership with another local company and Samoa Airways, we thought was a great partnership. "And this was a specific promotion for this store and we feel it’s worked out fantastic for us and Samoa airways and it’s something we feel we’ll roll out more with more stores in the future."